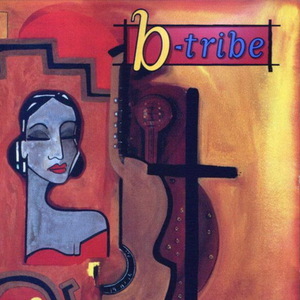 B-Tribe or the "The Barcelona Tribe of Soulsters" is a musical project of the German-born musician and producer, Claus "The Brave" Zundel, also known for his Sacred Spirit project. Driven by the use of Classical Spanish guitar, and other elements of flamenco music, mixed with trance-like, ambient tunes. All the albums were recorded in Zundels's own studio on Ibiza, Spain. Spanish musician Paco Fernandez plays guitars and the cello parts are performed by Frankfort Radio Orchestra member Eric Plummetaz. B-Tribe first hit the music scene in 1994 with Fiesta Fatal!, the single of the same title becoming #1 Dance hit in Europe. B-Tribe was born into a niche (coming out that same year was Enigma's The Cross of Changes, while Deep Forest's self-titled album had come out in late 1993). Fiesta Fatal! and Suave Suave (which was released in 1995) became part of a less commercial side of the so-called world music scene that was growing in popularity in the United States during the mid-90s. The Brave released the third B-Tribe album Sensual Sensual which is darker and less dance driven. It feels more ambient, melancholic and classical although there are definite drum rhythms. The peak of the genre's popularity was in 1997 with the release of the Pure Moods compilation. B-Tribe did not make the cut for the compilation but the rendition of She Moved Through the Fair from their 2001 album Spiritual Spiritual was featured on the compilation Pure Moods IV. The album Spiritual Spiritual is the most ambient album by the project. Only a handful of tracks feature a distinct drumbeat and the cello features in only one song on the album. B-Tribe's last album to date is the aptly titled 5, released in 2003. It features songwriting and vocal contributions by African supermodel Luna Mohamed.